Testing medications, supplements, and some procedures against a placebo can be described as a gold standard test of the effectiveness of said medication, supplement, or procedure. I came across an article recently I thought was interesting because it both confirmed something I had been told a long time ago and peaked my curiosity about the placebo effect in surgery. A placebo is a fake treatment, whether it is a fake drug or sham procedure, that is performed to test the effectiveness of a real drug or procedure. In a typical study there is the test group which is a group of participants that take or are given the real treatment and a control group which is another group that is given the fake treatment. Since we know that the control group should not improve because they are not actually given a treatment, if the test group gets better we would find that our treatment works. The treatment tested needs to do a certain amount better than the control in order to prove the treatment effective so if you ever look at a paper that mentions a term “statistical significance” the authors found that the treatment did far better than the placebo based on the mathematical analysis of the study data. Chiropractic researchers have struggled to define a fake chiropractic adjustment and thus there are few papers were a placebo is used as a control but in those cases chiropractic care outperforms the placebo. Our profession, while limited on research funds, have had researches working overtime to study chiropractic care in order to silence those who falsely claim chiropractic is unscientific or untested. There are many surgical techniques and procedures that are commonly performed today that have never been tested against placebo or test poorly but they are accepted as effective nonetheless. 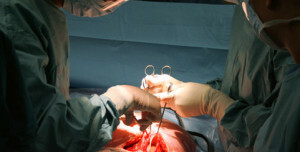 A story I read in the online edition of the New York Times revealed some interesting findings regarding surgical research. The author of this article notes several studies including a 2002 study on knee arthroscopic surgery that found that the procedures tested did no better to relieve symptoms as a placebo procedure. This 2002 study had no effect on the practice of arthroscopic surgery and this procedure is still common to the tune of billions of dollars. Another item in the story discusses that vertebroplasty, a procedure to rebuild a collapsed vertebrae, was no more effective to reduce pain than a placebo. A recent study on arthroscopic surgery for meniscal tears found the procedure no better than placebo, a year after surgery both the test and control group felt their knees were better. Arthroscopic surgery for the mensicus is the most common orthopedic procedure performed in the US to the cost of 4 billion dollars, per the linked article. In the age of evidenced based medicine findings in research should drive clinical decision making, in the case of expense surgical procedures this appears to not be the case. If there were a number of studies that indicated chiropractic care did no better than placebo you would be sure that the chiropractic profession would disappear overnight. Here we have a number of surgical procedures that have been found to do no better than placebo that are still be performed costing our healthcare system billions of dollars a year. I, by no means, am against surgery when it is the right time and place for it. Instead I am for surgery when all other options have failed or when the patient is in a medical emergency. What I hope to do with this post is to educate you, the reader, about the lack of evidence regarding some common surgical procedures today. You should exercise caution in deciding on surgery, especially orthopedic surgery, and you should take steps today to live a healthier life to avoid the need for surgery or medications in your future.